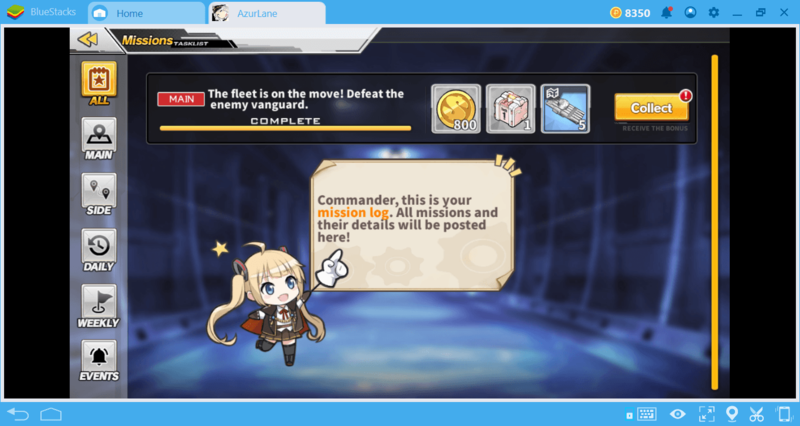 Azur Lane recently completed its open beta phase and released the English version only for certain countries. This version lags behind the Chinese version of the game and does not include the newest features: If you want to get the latest version of the game, you have to install the Chinese version. (Continue reading this guide to learn how to do this.) But even if you’re playing the English version, you’ll still need some help. 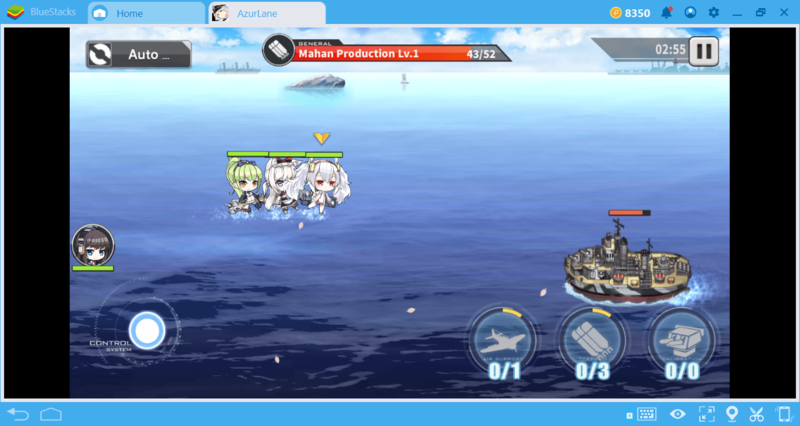 Azur Lane is a game with its own peculiar mechanics, and there are very few resources available. 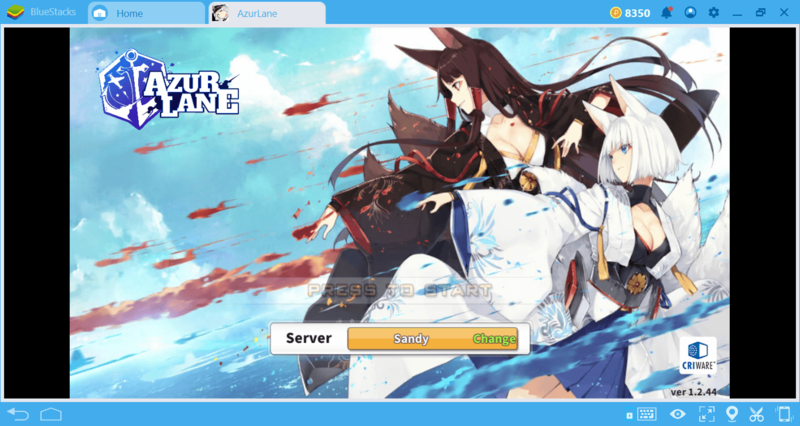 We have prepared this guide for beginners: No matter which version you prefer, you can get all the information you need to start playing Azur Lane below. 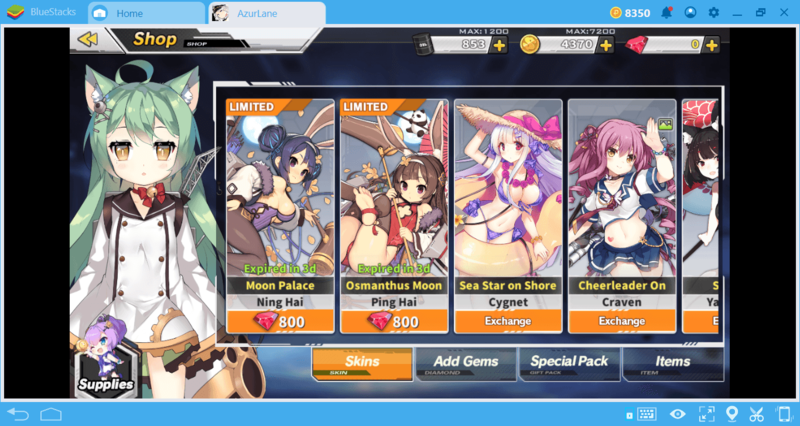 Azur Lane is a game that falls in the “gacha” category. This is a Japanese term and means “capsule toy”. 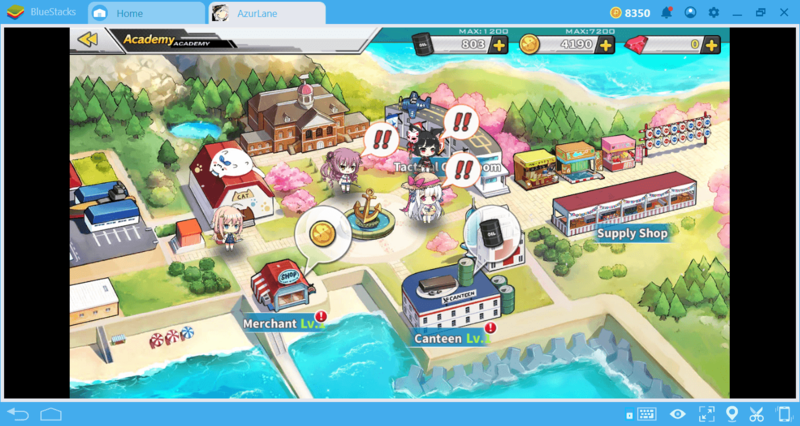 In gacha games, your goal is to collect every item that belongs to a particular theme. The best example of this is the “Pokémon” series. If you play for free, it will take a long time to collect all, but if you choose to purchase them, you can complete your collection in a much shorter time. Your ships have different features, classes, and firepower. You can have 6 ships at the same time in your fleet and the total score of them determines your firepower. You can acquire new ships by completing missions, purchasing them with gems, building them at the dock, or participating in various activities. The power level of a ship is determined by its number of stars. 5-star ships are the most powerful ones. The symbol in the upper left corner of each ship shows its special combat power. For example, if you see a plane icon there, you can make a bombardment by calling planes on the battlefield from time to time, if you add this ship to your fleet. 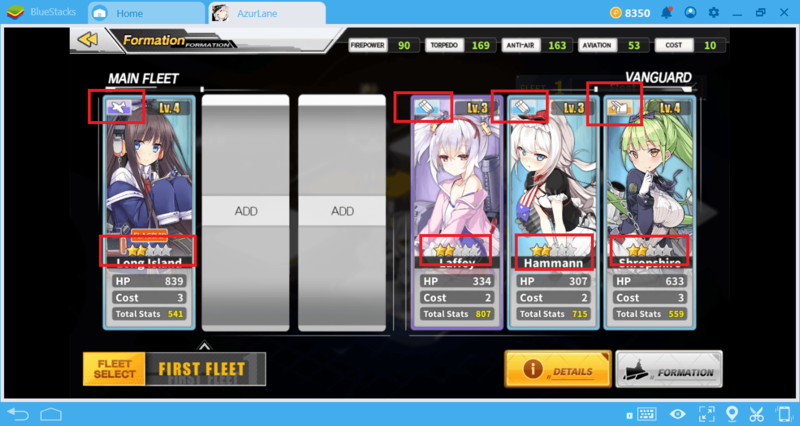 You can upgrade the star level of the ships, but you cannot change their special powers. Therefore, your goal should be to create a balanced fleet: If you set up a fleet of ships that are only capable of bombardment, you will not be sufficiently effective on the battlefield. We will give more detailed information about this issue (and ships in general) in a different guide. When you first start the game, you will be asked to select one of the three starter ships. At this stage, which you choose is not as important, you can select any ship you like. 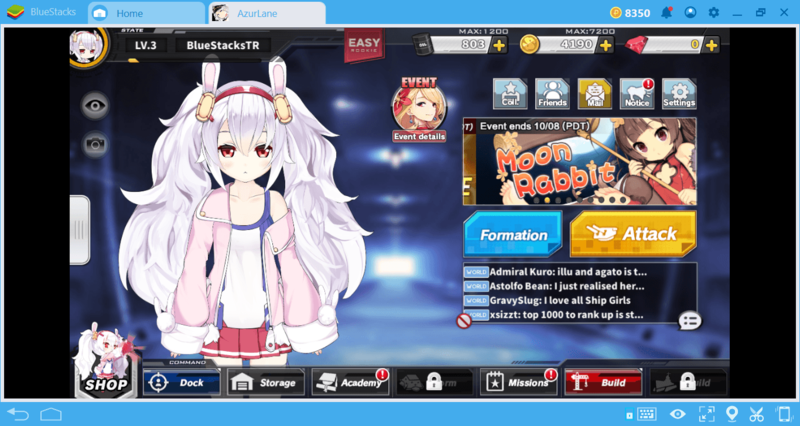 Don’t worry, there are more than 200 ships in Azur Lane, and soon you’ll switch to new ones. Dock: Allows you to see a list of your ships and manage each one individually. You can have up to 150 ships at the same time. 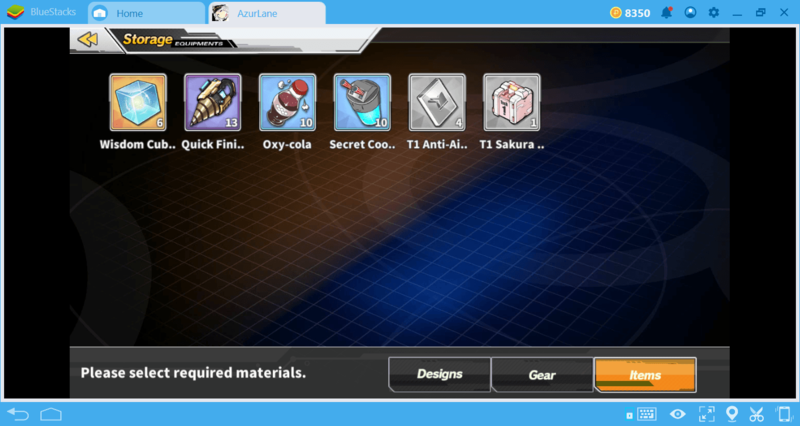 Storage: Inventory screen. You can find the items, equipment, and designs you collected during the missions in here. 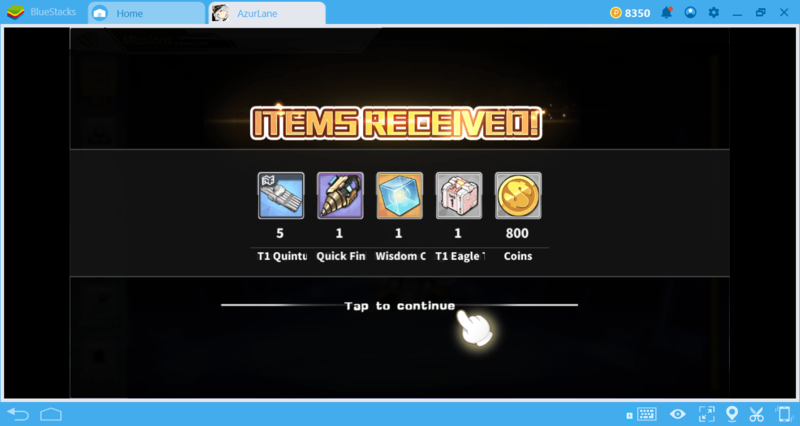 You can also earn coins by recycling items that you don’t use. Your inventory is limited to 300 items. Academy: You can see all the buildings in your base from here. Some of these buildings allow you to train your ships while others produce resources. More detailed information about the Academy can be found in our other guides. Build: You can build new ships by using Wisdom Cubes and gold. The results will be completely random. 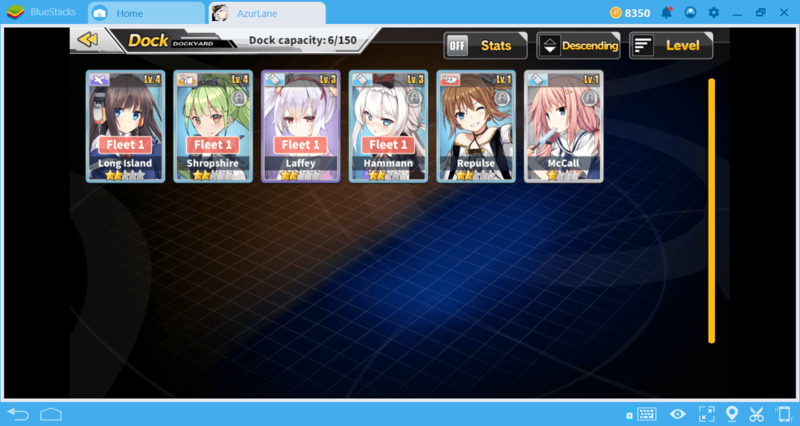 So you can get a super rare ship or a common one. 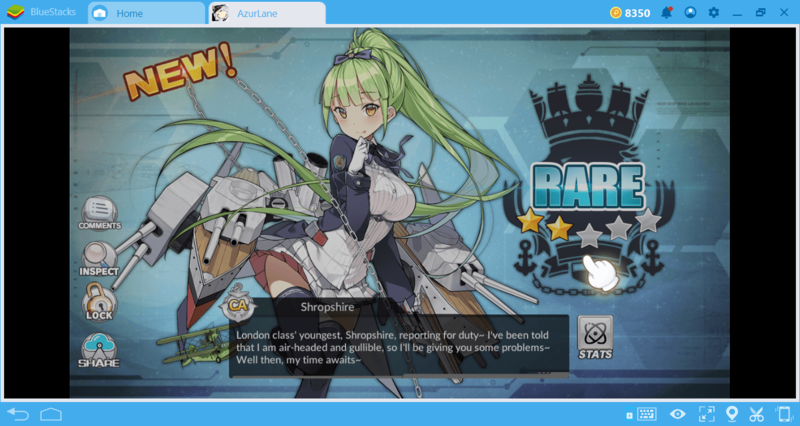 For more information about this feature, see our guide for Azur Lane ships. Missions: You can access story missions, side missions, and daily/weekly missions from this screen. Completing them will enable you to earn XP points and new items. Pay attention to the event tasks: They have a time limit and allow you to win top quality awards. After reaching level 10, you will be able to perform raid missions too, but these are the most important things you should know for now. To sum it up, your goal is to acquire new ships, take part in battles, complete other missions, and build the best and most powerful fleet in the game. 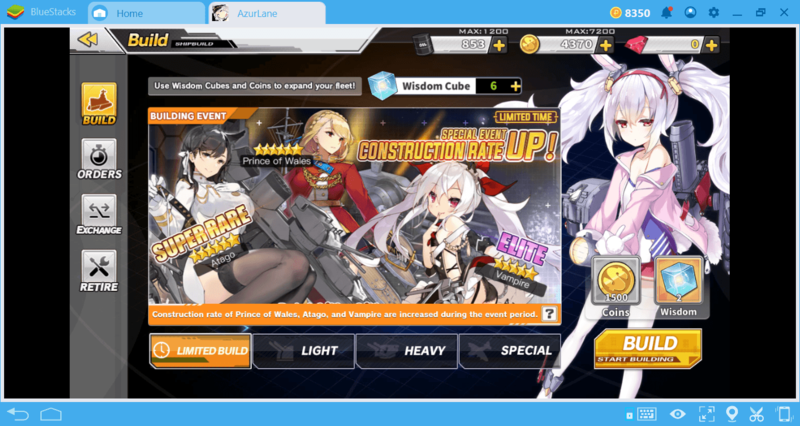 In this respect, we can say that Azur Lane resembles Knights Chronicle. But the battle system in the game is nothing like Knights Chronicle! 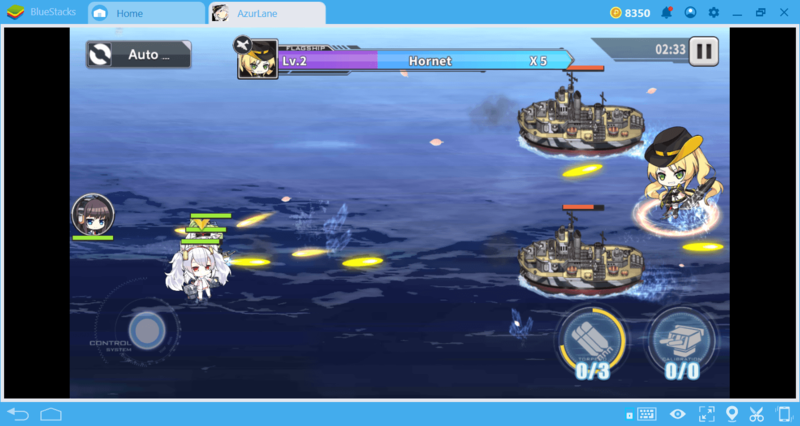 Azur Lane has a battle system known as “2D side-scrolling”. If you’ve already tried games like Sky Force and Sine Mora, you’ll understand what we are talking about. In this battle system, also known as “rail shooter”, all you have to do is move your ships on the battlefield and avoid enemy fire. Your ships will be firing automatically. 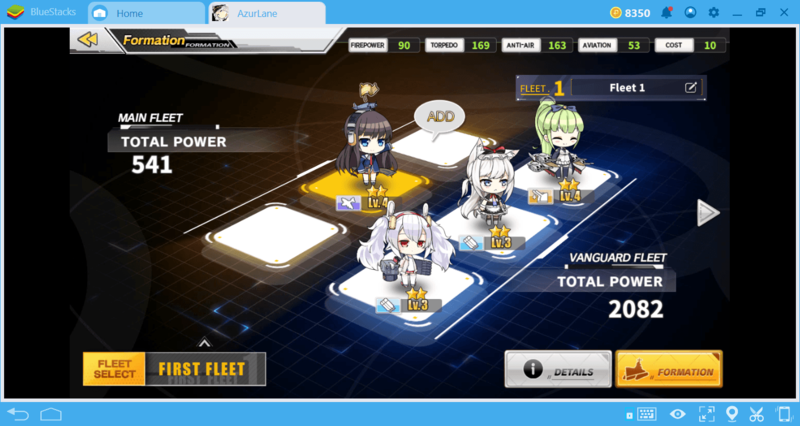 With the new control scheme of the BlueStacks 4, this is very easy to do: Just use your mouse. However, you still control the buttons you see in the lower right corner of the screen: They represent the special skills of your ships. For example, if you have a ship capable of bombardment, you will see a plane icon in this part of the screen. If you press this icon, your ship will use its special ability. Each skill can be used more than once, but there are certain CD (cooldown) times. This is all you need to do: Avoid enemy fire and win the battle using your special skills. Use your special skills if needed. Every battle you win will give you several prizes. These awards include equipment, gold, wisdom boxes, and XP points. If you are lucky enough, you can also get new ships. 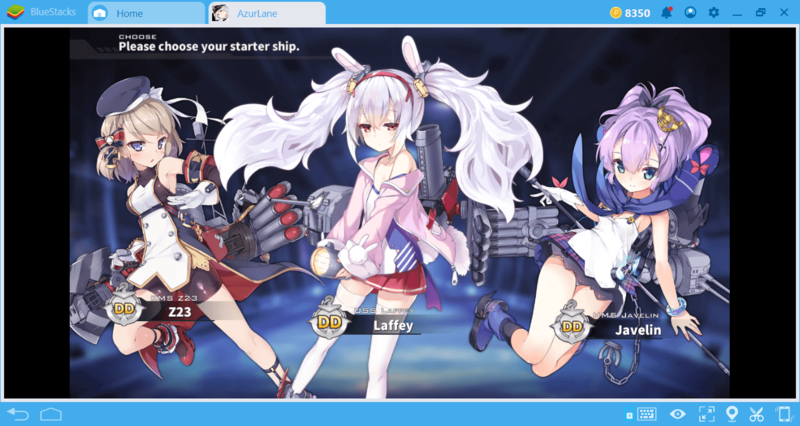 This is what you need to know to start your adventure in Azur Lane: In our other guides, we provide you with more detailed information about the game and make it easier to conquer the seas. This is going to be a very interesting journey, but we’ll help you at every stage. For now, spend some time alone with your new ships and check out our other guides when you’re ready to learn more. Good luck!